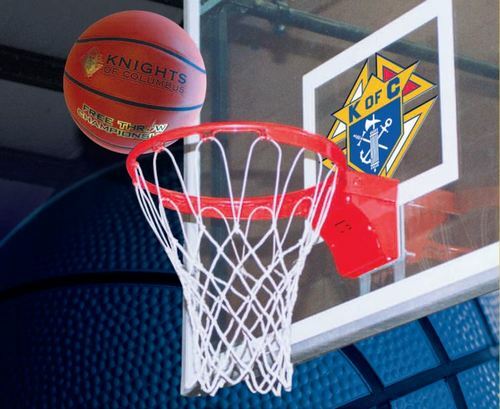 Above: Knights of Columbus are encouraging kids to show off their shooting skills. 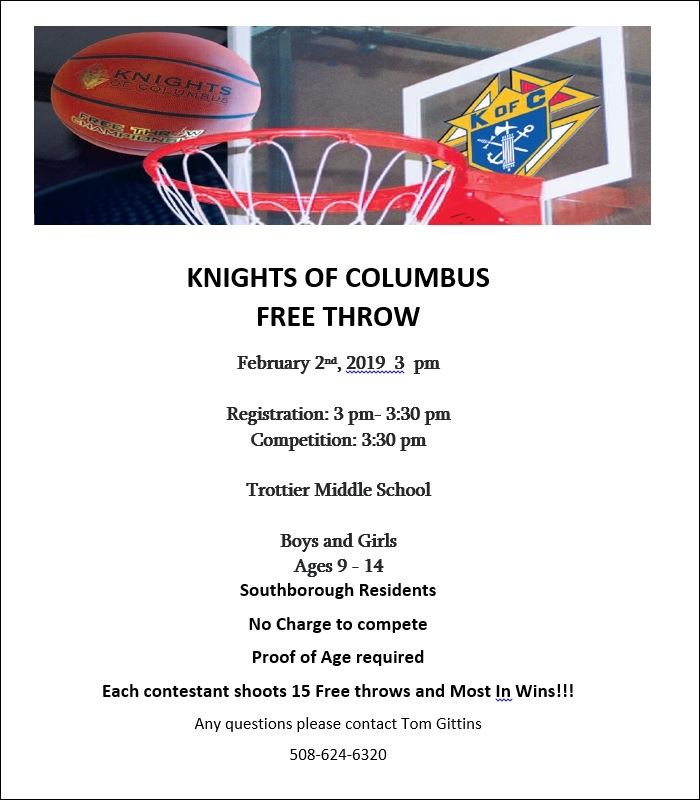 Knights of Columbus Southborough is holding its annual Free Throw Competition for 9-14 year old boys and girls. This winter, it’s taking place almost a month later than in recent years. The event is free fun. But for some kids, it’s also a big deal. 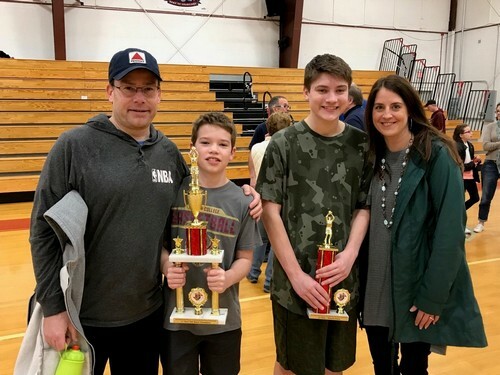 The competition takes place on Saturday, February 2nd at Trottier Middle School. 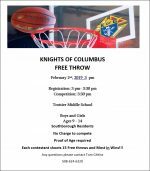 Registration opens at 3:00 pm with shooting starting at 3:30.